Giddy’up folks! 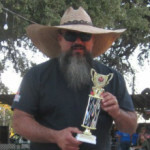 Destination America’s BBQ Pitmasters Season 5 continues this Saturday promising some high powered competition as part of a Texas Lone Star Smoke War. The season started off with a bang in Georgia, with Rescue Smokers taking top honors. Now it’s time for some of the top Texas competition BBQ cook teams to duke it out for BBQ braggin’ rights. Each of these teams knows exactly what’s at stake: a chance to move on for a shot at $50,000, a spot in the Kingsford Invitational, and the title of Kingsford BBQ Pitmasters Grand Champion. This competition has never been tougher. This episode features two protein choices that any Texas pitmaster should have down solid: Brisket and Steak. Come on now, I hope you weren’t expecting anything other than beef in a Lone Star Smoke War! 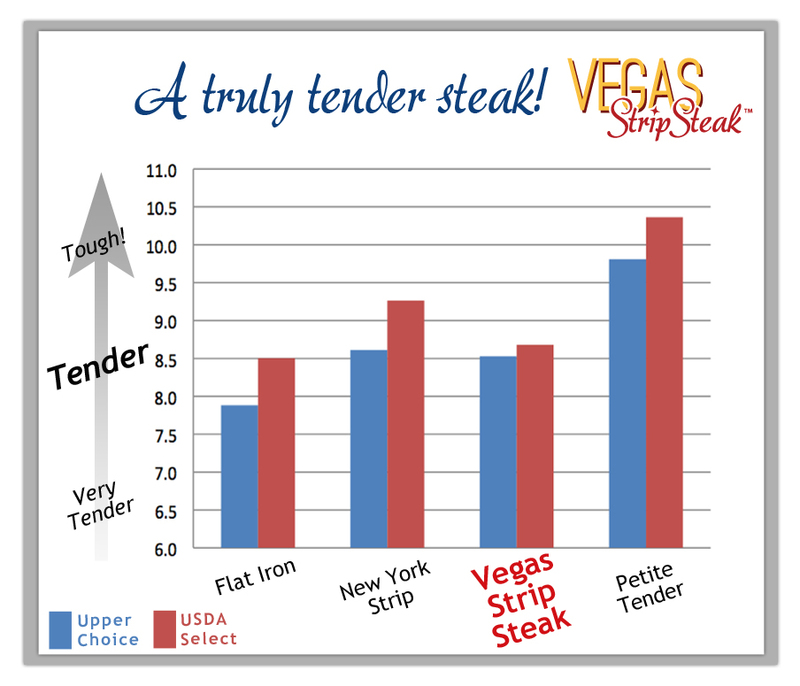 The second protein is a Vegas Cut steak. Not sure about you, but this is my first time hearing of this cut. Turns out, it’s relatively new. Entering the marketplace in 2013, this cut can be found tucked away in the fatty area of the cow that is typically used for chuck. Ordered out, you’d want to ask for a Vegas strip steak. Yeah, you knew this was coming. A video breakdown. 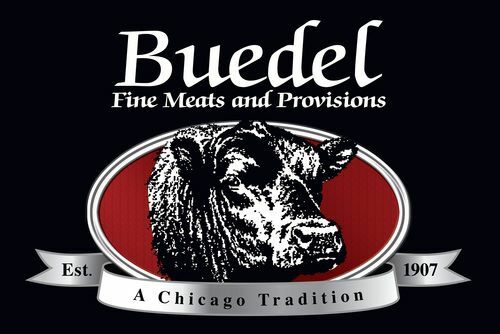 Given the history of the beef industry, the discovery of a new beef steak that has never before been fabricated and marketed could appear to be an impossibility. But the FAPC, together with Dr. Mata and Chef Gresh, have made this impossibility a reality. Turns out Dr. Tony Mata is a Dallas meat scientist who is a bit obsessed (thankfully) with locating new cuts of tender meat in rough parts of a steer. He and a team of researchers came up with the industry’s newest steak by mining the muscle under the shoulder blade for a tender pad of flesh. And according to an article in the Journal Star, he’s still on the hunt for new cuts. I have to mention Chef Rick Gresh as well. He’s the Executive Chef at David Burke’s Primehouse in Chicago and, as you saw in the video, has made quite a splash with the Vegas strip to date. I’m excited to see how these Lone Star Smoke War pitmasters tackle the cuts of meat they’ve been given. As always, Tuffy, Myron, and Big Moe Cason will be judging on taste, tenderness, and appearance. Though the judging will be blind for those guys, the competitors will watch as a group as each of their entries is given the once over. 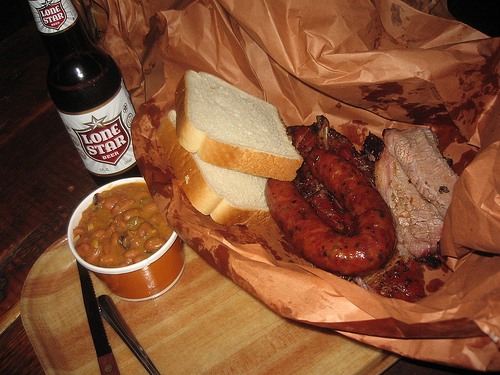 As I said before, we’re looking at three of the best BBQ teams Texas has to offer. Here’s how they break down and a look at the rigs they’ll be cooking on for this Lone Star Smoke War. 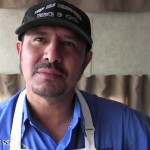 JD starts right up by getting a smoke rolling in his offset stick burner he calls “The Sancha,” translated from Spanish to mean “the other lady.” He’s quick to say that his true love is his wife of 24 years Lety( Shorty), but Sancha is his lady on the BBQ circuit. Gotta love it! No pellet smoker or gravity fed smoker here. “The way I grew up cooking BBQ, you start a fire and throw the meat on the pit,” he says. 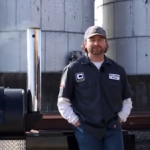 JD uses Texas live oak on offset smoker because it burns hot and slow, and he blends this with some Texas mesquite – just to give it that good smokey flavor. Junior rocks a gravity fed smoker, which for the uninitiated is a pit heated by a chute of charcoal that burns from the bottom up – fed by gravity. You’ll see a ton of these on the BBQ circuit with brand names like Stump’s or Backwoods. Rock solid reps for holding steady temps, these cookers get the job done – with added smoke flavor coming from using wood chunks in addition to the charcoal that feeds them. The wood of choice for Up In Smoke is pecan for its steady burn and mild flavor and mesquite for that Texas smoke profile. Like Rescue Smokers from last week, Junior uses a DigiQ blower to help him regulate temps. Like JD, Matt is cooking on a stick burner with a name. In this case, Matt named his offset smoker “June,” after his Grandmother who taught him how to cook. Matt comes right out of the gate with some smack talk for Junior – so you’ll want to be sure and catch that. Cooking with wood and fire, the way he says Texas BBQ should be cooked, Matt uses post oak for its traditional Texas smoke flavor and offsets this with hickory. I love that each of these teams hails from a different part of Texas. Being from Florida, Texas BBQ is something I’ve only just begun to appreciate. 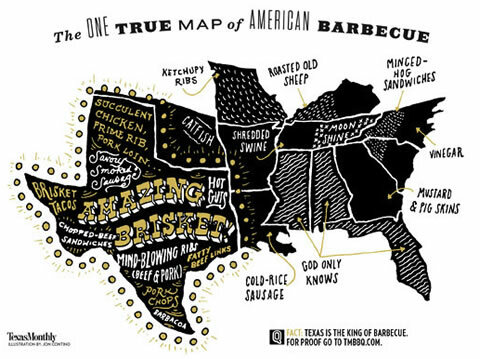 Each region of the state has its own flavor profile. JD’s team, being from the south, is gonna bring some heat, while Junior couples heat with a little West Texas sweet. Matt, who I feel is a kindred meat nerd, goes simple with salt and pepper in true Central Texas fashion. Timing will be everything with the brisket flats taking between 4 to 6 hours to set up and those Vegas strip steaks looking like a few minutes on each side will do them nicely. Make sure you check out each of these team’s links above and show them some love. Be cool if you let them know you found them from this site! And of course, be sure to tune in to this weeks’ BBQ Pitmasters Lone Star Smoke War on Saturday night 9/8 Central. You know from week one that we’re in for a battle. May the best Texas Pitmaster win!